I am not sure if this is a Graphene related issue or I have to edit the functions.php in the child theme. I created a Google Custom search long time ago and stop using it because I moved my site to WP which came with a search function. I tried to implement it back and it only work when I typed my own name to the search (first name). I tried “Geology” and it goes to 404 page of the Graphene WP. What am I doing wrong? I followed the instructions on both Google and the WordPerss. It seems like sometimes the Graphene theme is taking over all the requests from Google and turn it into their own and hence returning them in 404s. 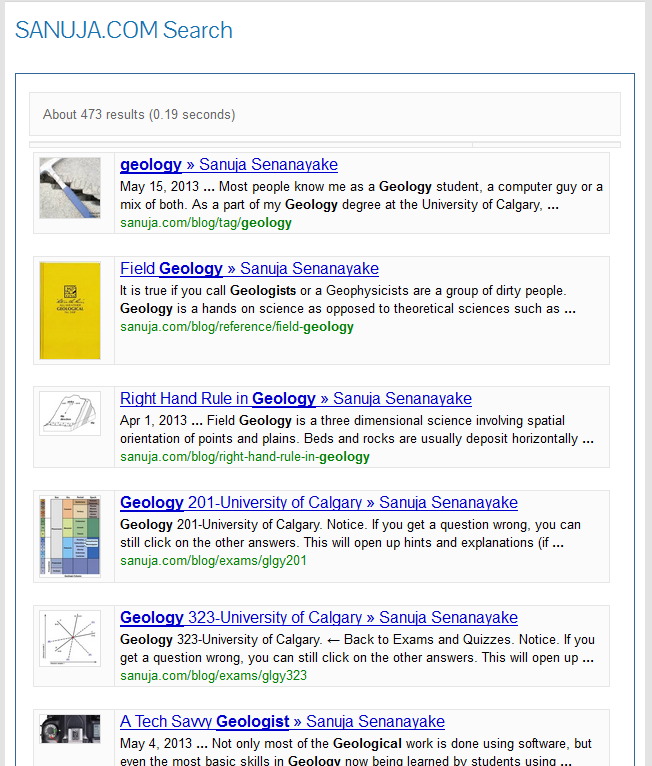 If you guys want to test it, try “geology” as a keyword. Google have many many pages on that from my site indexed and it works fine when I test the CSE outside of the site. Hmm.. It works fine here. I changed it to “q=KEY_WORD_HERE” and now it works fine. It was not Graphene, but rather an issue with WP search conflicting with Google. Thank you for answering my questions all the time.